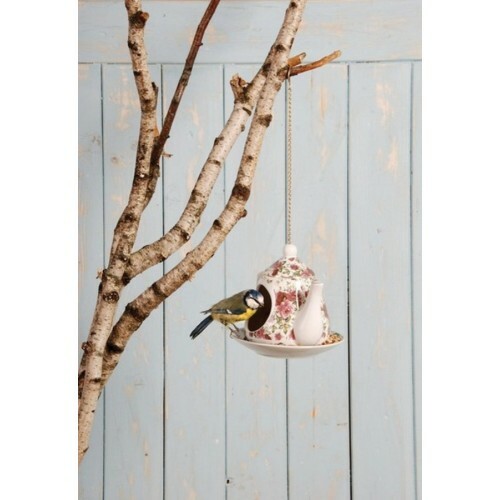 This original bird feeder is styled to look like a vintage tea pot. 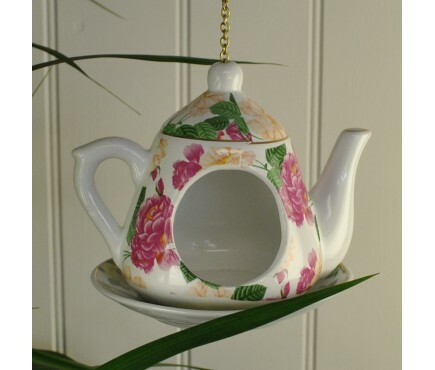 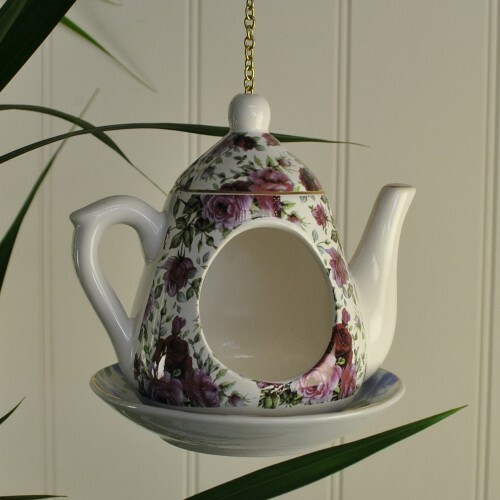 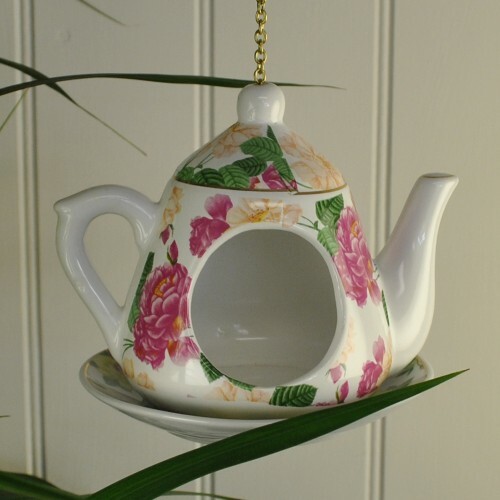 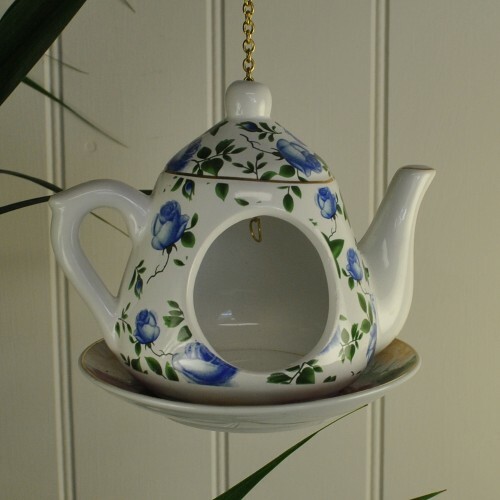 Made from fired ceramic, it features an attractive floral pattern and is supplied with a hanging chain so it can be hung from a tree branch or hook. 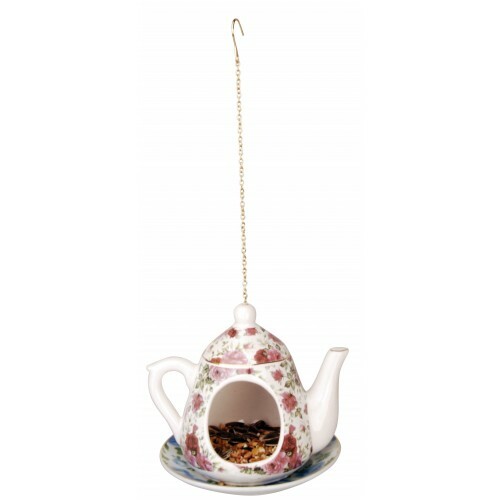 Adding a touch of fun to your garden, this tea pot feeder is ideal for a range of yummy bird snacks including seeds, peanuts and mealworm. 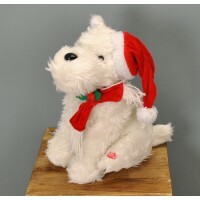 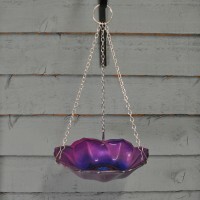 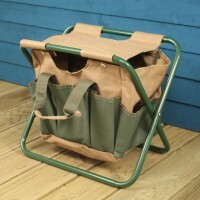 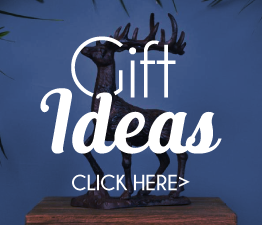 This bird feeder comes in four slightly different floral patterns and will be supplied at random. 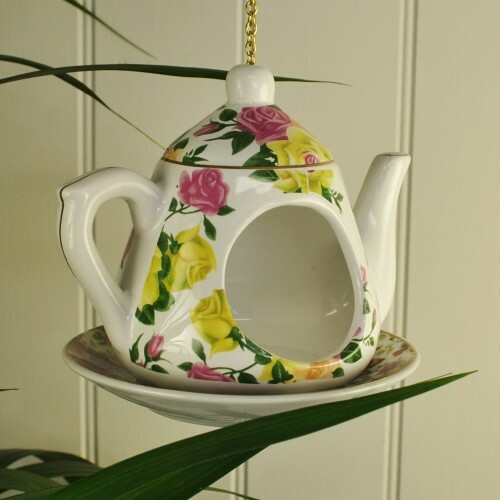 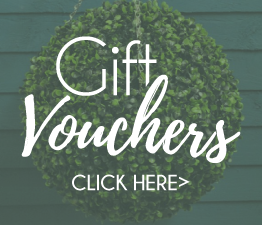 If you do require a specific colour combination, please request this with your order and we will do our best to fulfil your request.